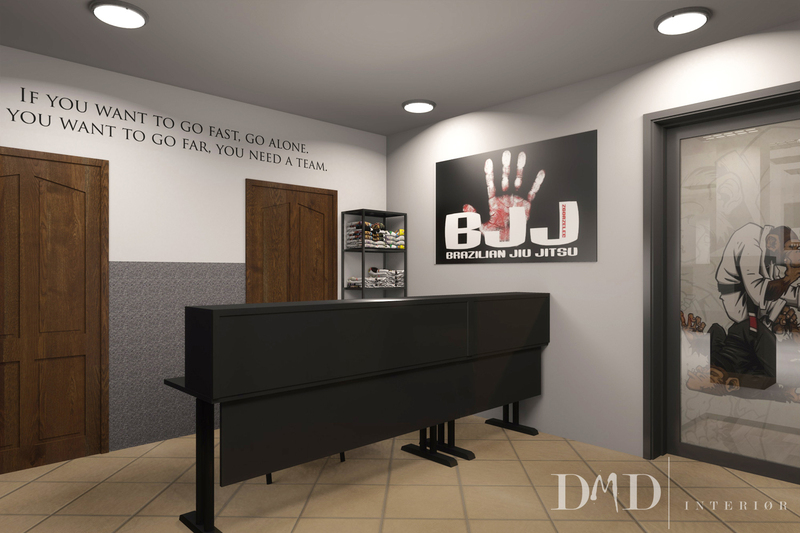 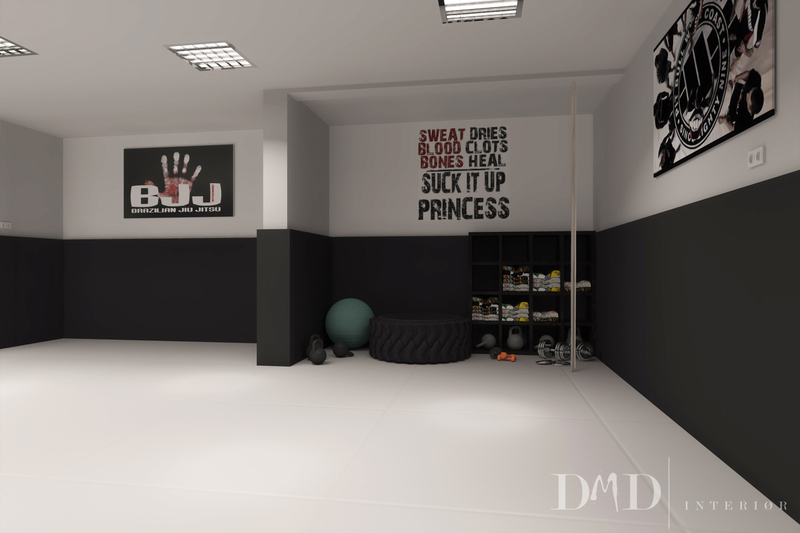 The project for BJJ Zgorzelec club aimed for transforming previously located there fitness club into Brazilian Jiu-Jitsu gym. 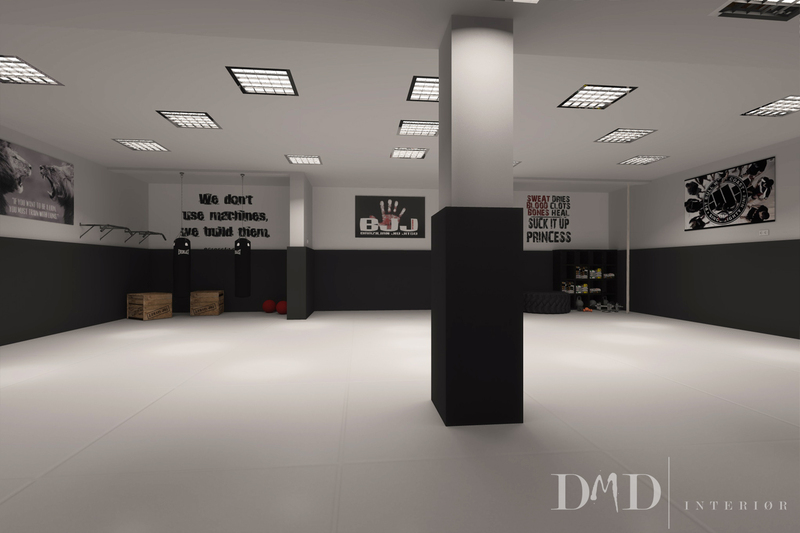 First we removed mirrors (a threat to trainees) and unified the colors. 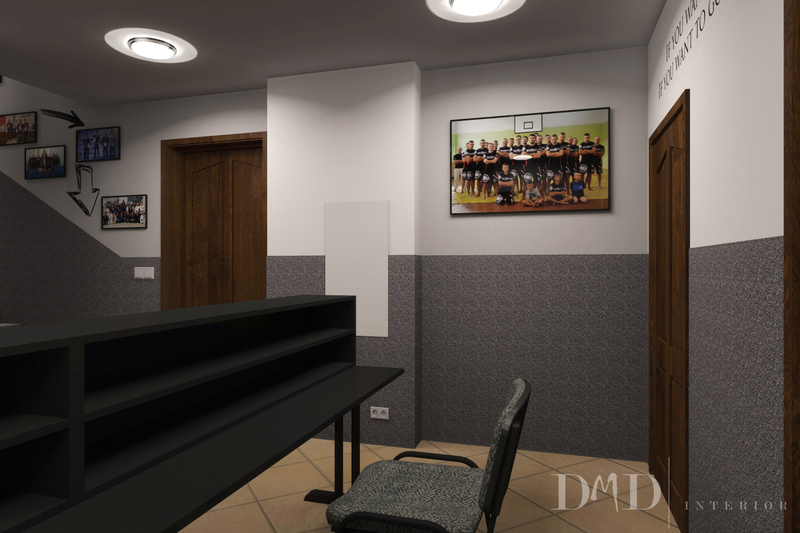 100m2 of the floor and the walls will be protected with a grey and black mat matching the colors of the club. 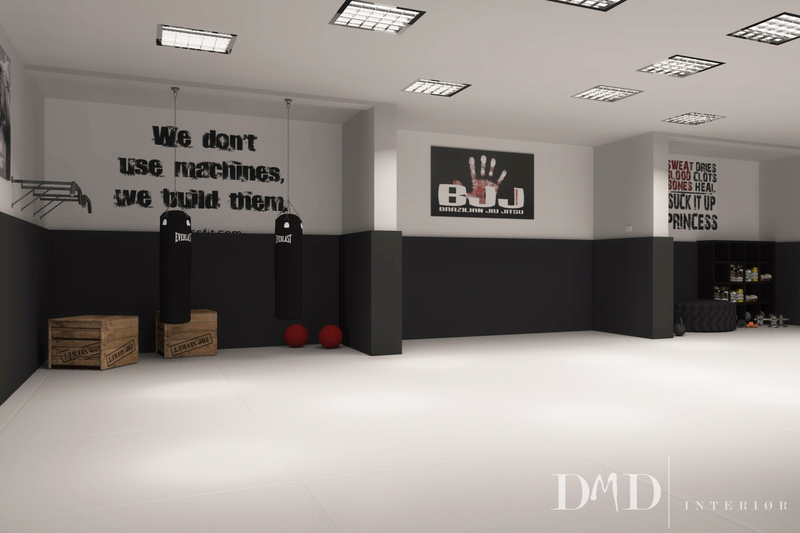 Opposite the entrance is a place for strength training equipment such as tires, kettlebells, ropes, punching bags, TRX and others. 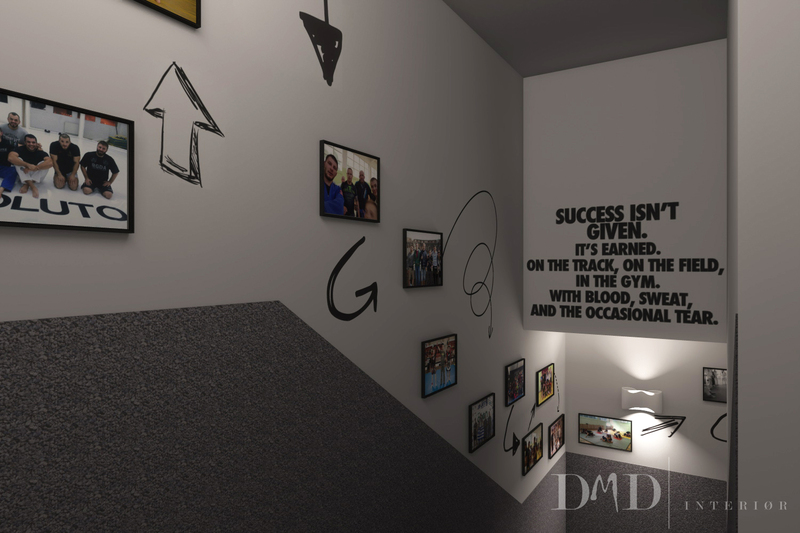 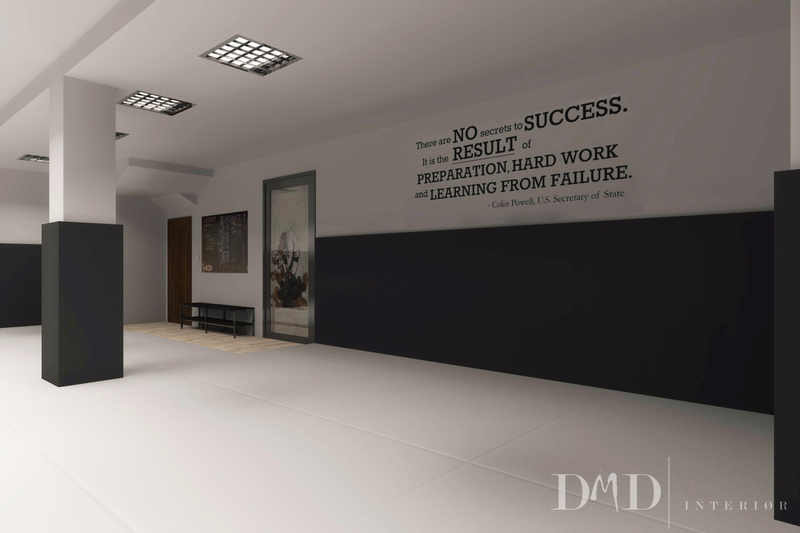 Simple in design room will be varied by logo, advertising banners and quotes motivating to work hard. 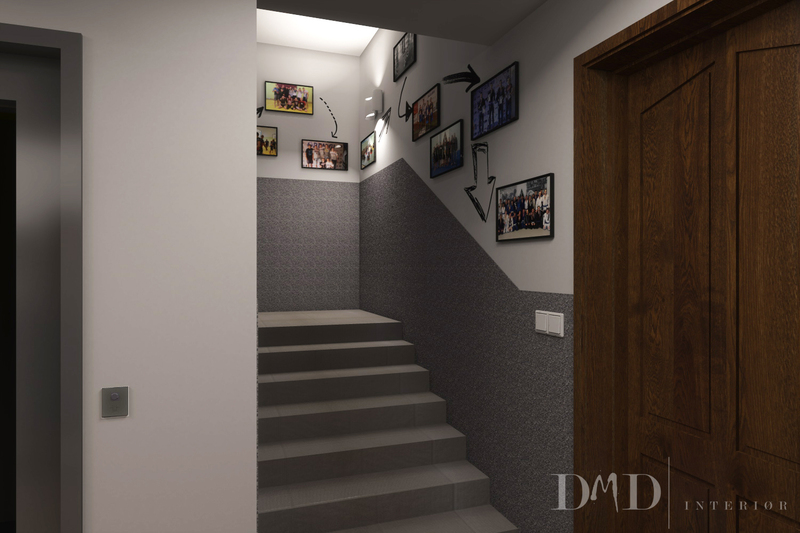 There will not be major changes in the reception and the hallway, we will only uniform colors, add the logo, medals, trophies and photographs commemorating important moments in the life of the club. 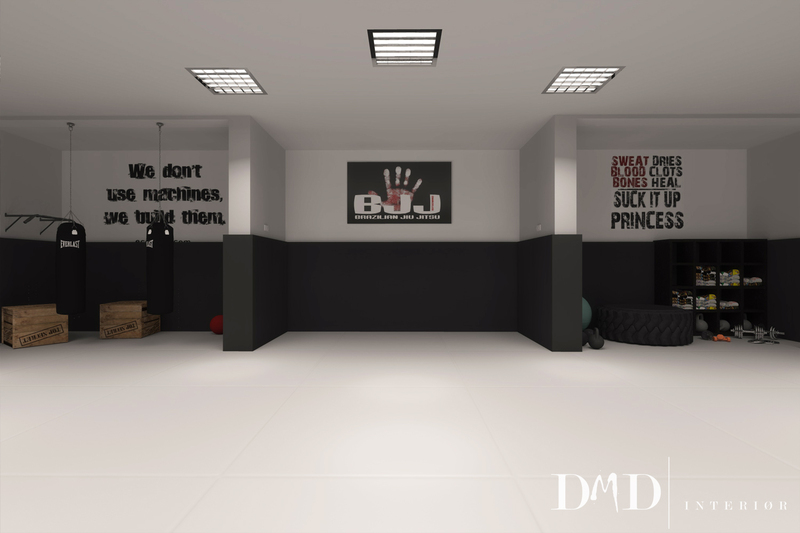 We wish the team nothing but success, OSS!